Vincor engaged Litcom to develop an Information Technology Strategy and Plan to support our business objectives and strategy. The IT strategy articulated our key business goals and provided a direct linkage between our planned IT initiatives and the business strategies that they support. To assist Vincor with the implementation of the IT Strategy, Litcom participated in business application and technology infrastructure projects. Specifically, Litcom worked with us on the design of our future-state technology architecture including our servers, storage, networks, backup-recovery, systems management, and security infrastructure components. As well, Litcom worked with us on improving the value that we were receiving from our Enterprise Resource Planning (ERP) system. In order to prioritize the wide range of improvement opportunities, Litcom facilitated a series of workshops across our business. Six workshops were completed that reviewed our business processes in the areas of Business Budgeting and Planning, Supply Planning & Production Execution, New Product Development, Sales & Marketing, Warehousing & Order Management and Financial Accounting. During the workshops, Litcom worked with our cross functional teams to define the key issues and challenges as well as the opportunity areas. Litcom’s understanding of our business enabled a fast-track process that allowed our team to build a detailed roadmap to optimize the use of our ERP system and address our critical business issues. 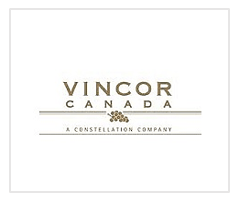 Vincor has wineries in British Columbia, Ontario, Quebec, New Brunswick, California, Washington State, Western Australia and New Zealand, and is one of the largest wine importers, marketers and distributors in the United Kingdom. Vincor markets wines produced from grapes grown in the Niagara Peninsula of Ontario, the Okanagan Valley of British Columbia, the Dunnigan Hills of California, the Columbia Valley of Washington State, Western Australia, New Zealand, South Africa and vineyards around the world. Vincor’s premium brands include Inniskillin, Jackson-Triggs, R.H. Phillips, Toasted Head, Hogue, Goundrey, Amberley, Sumac Ridge, Hawthorne Mountain, Kim Crawford, Kumala, Ancient Coast and Sawmill Creek, which complement its popular priced wines such as Entre-Lacs, L’Ambiance, Sola Nero and Notre Vin Maison.